The Diocese of Syracuse recognizes and honors lay people whose service to their parish is extraordinary. The honoree is a person or couple whose love of the church has been shown through their devotion to the Holy Father, the diocese and their parish. This year, John and Terry Reale received this award at the Cathedral in Syracuse on Sunday, Dec. 9. John and Terry are life-long parishioners. 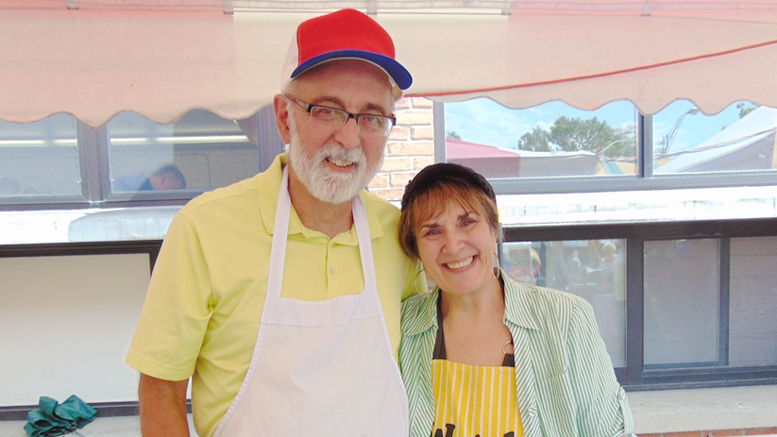 Terry is in charge of our pizza fritta stand at the parish festival. She is a member of the Social Committee and was the volunteer coordinator of our Faith Formation and Baptism programs. She also was a member of the Parish Finance Committee and was a parish trustee for several years. John is an altar server for funerals and novena and works alongside Terry at the pizza fritta stand. He was very involved with our Holy Name Society and held offices in that organization, attending retreats with the members and volunteering with their many functions. Both always are at weekend Mass and most events that occur in the parish, always willing to help out when needed. They have five adult children. Their loyalty, devotion and love for Our Lady of Mount Carmel and the parish are exemplary.